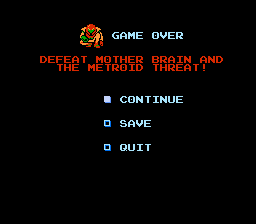 This hack replaces Metroid’s password system with a saving system, offering three save files. The file selection menu shows the player’s equipment, and as an added bonus, the player’s health is now saved (no need to grind for health every time you resume your game). 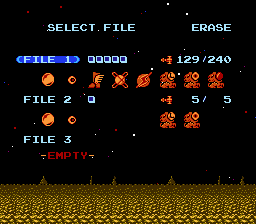 The save system can be a handy addition for those who don’t like to use save-states, or those playing on a flash-cart. 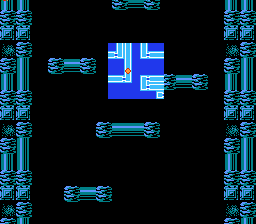 Included is a scrollable map when the game is paused and the ability to combine wave and ice beams. Version 0.3 fixes a bug that could prevent the game from booting correctly in some cases. The hack has been tested and confirmed to work on the PowerPak as well as a normal cart. It’s pretty awesome. You can save your game and not have to use either passwords or emulator save states. I do have a couple complaints, if it’s possible to patch them. Doesn’t seem to work with any other patch, it over writes all of them. 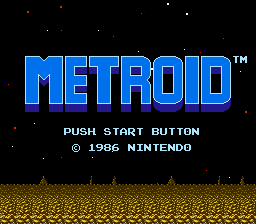 I’m trying to also patch the wall jump patch and the Super Metroid sprite patch, neither of which work with this. It would also be nice to save from the pause menu instead of when you die.